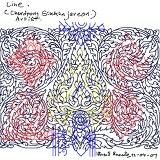 New art work in the LINEart Vision series. cause I’m still busy with my camera and new toy. For someone who miss my artwork series please waiting me new art project arrive soon.